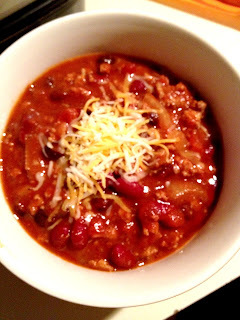 At last, I finally found my perfect chili recipe. 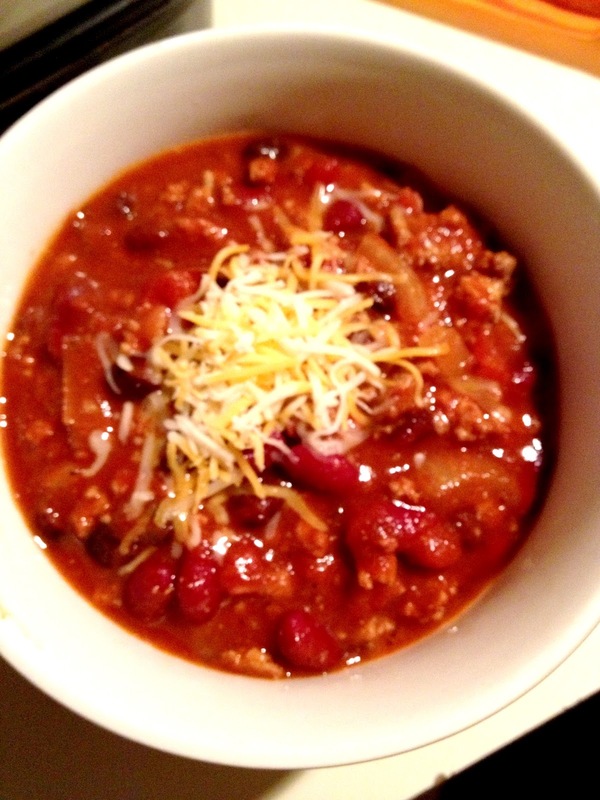 I always thought cooking chili was an art that only those who perfected over time were able to gloat about. But alas, I made it once, and I am gloating. This was the best chili I have ever had. At first glance, the list of ingredients looks daunting, but it is really just a “pinch of this,” “a can of that.” Combined with the fact that it is healthy, hearty, and delicious, it is the perfect winter meal. Next go around, I plan to triple to recipe, share some with my family and store the rest away in the freezer for that cold winter night when I really don’t feel like cooking (like tonight!). Combine the first 6 ingredients in a large mixing bowl. Drain off any fat, add turkey to slow cooker along with all remaining ingredients. Sprinkle with shredded cheese before serving.